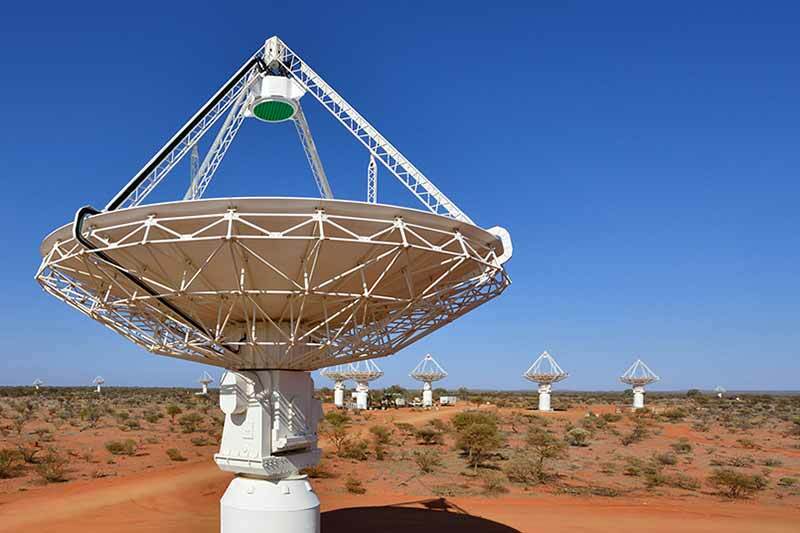 CSIRO’s Australian Square Kilometre Array Pathfinder (ASKAP) telescope has started generating data at the rate of 5.2 terabytes of data per second, the equivalent of around 15% of the global internet traffic rate. Previously, CSIRO astronomers had been testing ASKAP’s performance. Now the data gathered will be used by international project teams. During the second half of 2017, more than 350 astronomers from over 120 institutions will start to use ASKAP for ten major survey science projects. The data is streamed to the Pawsey Supercomputing Centre in Perth after being processed on-site by a special-purpose computer. The data is then processed by CSIRO-developed software on the Galaxy supercomputer and recorded to disk, at the rate of 956 gigabytes for each 12-hour observation. The media release states that the data collected will help scientists answer some of the most fundamental scientific questions about the origins of the universe, such as how were the first black holes and stars formed, how do galaxies evolve and what is dark energy and what generates giant magnetic fields in space. The first project ASKAP is collecting data for, is called WALLABY (Widefield ASKAP L-band Legacy All-sky Blind surveY). It involves mapping galaxies through the detection and measurement of neutral hydrogen, which is the most basic component of galaxies and the universe. Construction of ASKAP began in early 2010, and all the antennas and site infrastructure, were completed in mid-2012. ASKAP is a precursor to the Square Kilometre Array (SKA) project involving 20 countries, to create the largest and most sensitive radio telescope ever constructed, 50 times as sensitive and have a discovery potential 10,000 times greater than the best instruments, when the project was initiated. Australia and South Africa will each host components of the SKA telescope. The construction of the SKA will be completed in two phases, with the entire system being complete and operational at the end of phase two. Operating together, the complete telescope system will achieve a combined collecting area of one square kilometre. Read the CSIRO blog entry here.